Many people recognize the Patel Conservatory for our exceptional ballet program. They may not know, however, that the Conservatory recently expanded our dance program by adding more classes and more flexibility for students wanting to study additional dance styles. Led by Kelly King, a former Radio City Rockette for 12 years, the new Patel Conservatory Popular Dance program allows dancers to explore popular dance styles for opportunities such as Broadway, television, theme parks and more. The growth of the program in the past year inspired a new camp this summer, the Popular Dance Intensive, which will be Aug. 10 through Aug. 14, 2015. Parker Espada, 13, who joined the Conservatory’s ballet program last summer to work on her technique, also participated in the Popular Dance program. “I liked it because it was different from what we were doing in my other classes [jazz and ballet]. It allowed me to work on contemporary and get the challenge that I needed to improve as a dancer,” she said. The week-long intensive, led by King and Patel Conservatory dance faulty Susan Downey, will immerse dancers in multiple forms of commercial dance including tap, Broadway, contemporary and musical theater. “I’m looking forward to taking different styles of dance, like tap. I normally don’t take tap,” said Parker. Students will work with teaching artists who have years of professional experience on Broadway, on tour, and in television and film. The week will culminate in a ticketed performance in the Straz Center’s Ferguson Hall on Sat., Aug. 15 at 2:30 p.m.
Students will also be given the opportunity to audition a contemporary or jazz solo that may be included in the show. Parker looks forward to the week-long intensive as part of her training. She hopes to one day be a professional dancer and feels the Conservatory has helped push her to the next level. 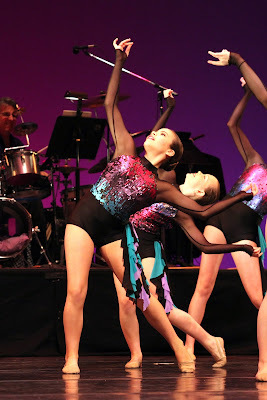 The Popular Dance Intensive is open to dancers in grades six through 12. For more information or to register, call 813.222.1040 or visit strazcenter.org.